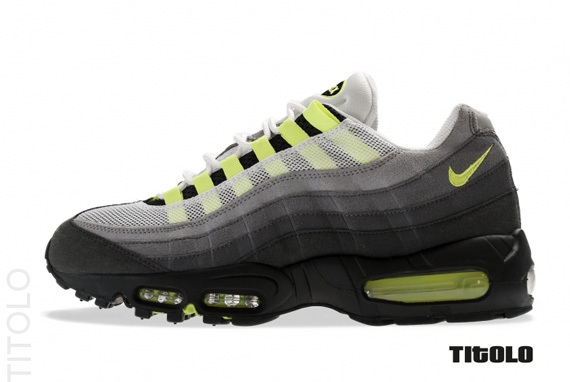 Returning alongside the rest of Nike's original runners early next year is the timeless Air Max 95 in its debut "Neon Yellow" colorway. The storied runner by Nike returns in original form, utilizing a combination of mesh, suede and full length Air below to bring its timeless look to life. 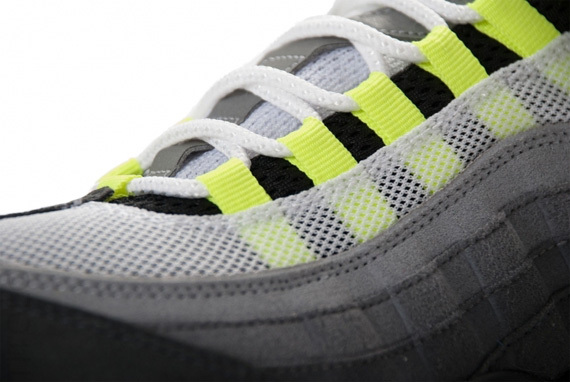 Just like the original, we see a grey to black gradient pattern taking care of most of the upper, while neon yellow hits the eyelets, tongue branding, heel Swoosh and fills the Max Air unit below. 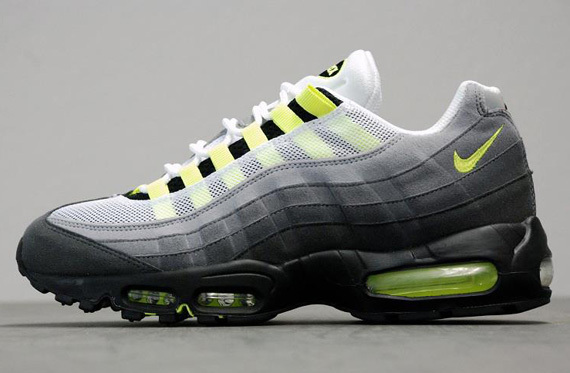 The "Neon Yellow" Nike Air max 95 is expected to hit select accounts in January.